Naturally, cruising provides a wealth of opportunities for shutterbugs to capture spectacular photos of breathtaking scenery, wildlife and more. What some cruisers and photography enthusiasts might not realize, however, is that there are voyages dedicated to photography and expeditions that cater to camera-hounds. These photo-centric expedition cruises typically come with expert instructors and professional photojournalists onboard who are specially trained to help you with things like the basic elements of framing, composition, lighting, camera settings, action shots and more. This one-of-a-kind guidance not only allows you to take home postcard-perfect shots, but it also helps cruisers take their photography skills to a whole new level. Whatever your skill level, capturing nature's most elusive wildlife will be easy aboard a photography expedition cruise. Photography expeditions are designed to help you capture the most memorable and exciting shots of your life. Whether you have a simple point-and-shoot, or you consider yourself an advanced photographer, the educational experience can transform you into a more confident photo taker. If you’re looking for a more intimate, personalized experience, your best bet is to choose a small ship cruise, specifically focused on photography. 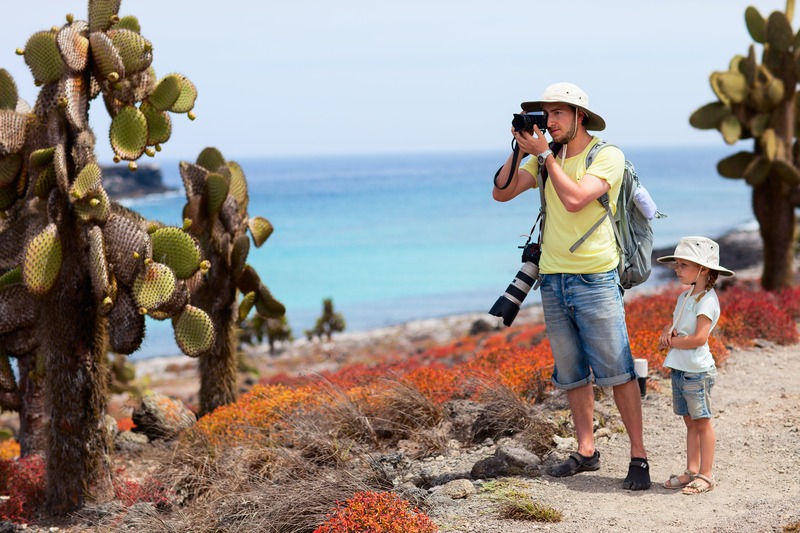 While some of the larger cruise lines offer classes and workshops to passengers, you’re likely to get more out of a photography-focused expedition that allows for more one-on-one time with a professional photographer and the ability to demo the latest technology. Depending on the cruise line and the voyage itself, these experts may be right at your side on deck, next to you while out in the field or sharing tips and tricks before or after your excursion so you shoot the best possible photos. Insider Tip: Small ship expedition cruises tend to offer more onboard opportunities for one-on-one photography instruction, interactions with award-winning photojournalists and professional guidance from real experts in the field. These highly immersive photo trip expeditions are designed by photographers for photographers. Voyages include National Geographic certified photo instructors aboard every ship, sailing to places like Alaska, the Amazon and Galápagos Islands. Plus, take advantage of nightly workshops, presentations, slideshows and photo-sharing events called “laptop galleries" as well as the ability to test out all the latest gear. 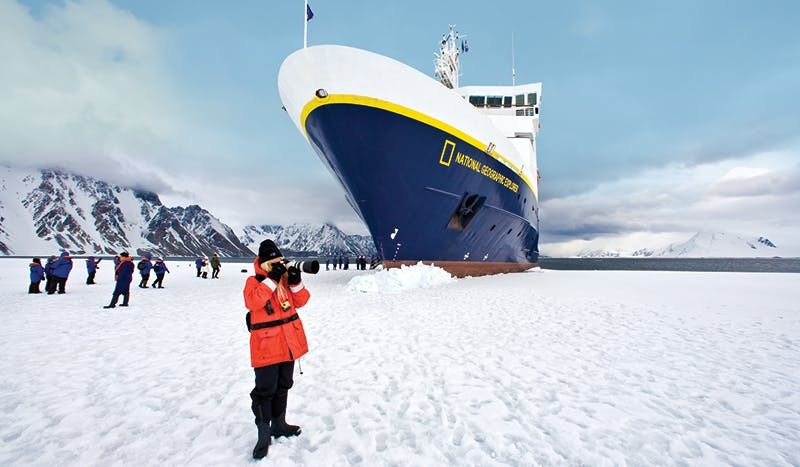 Lindblad's partnership with National Geographic means professional photographers are always nearby. 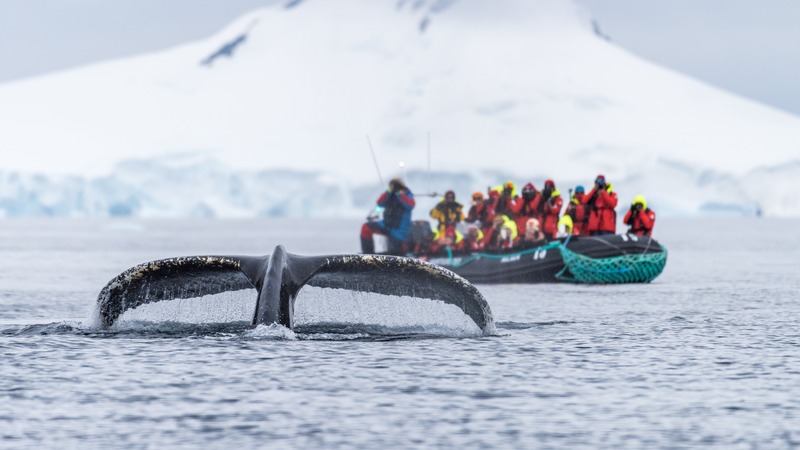 Quark Expeditions’ Ocean Endeavor offers an exclusive Polar Photography program with trips to Antarctica and beyond. On this active photography adventure, you'll learn tips and techniques from world-renowned photographers. Additionally, there are daily workshops that cater to all levels of photographers and are geared to nature and landscape photographers seeking immersive instruction and photo assignments in the field, talks on techniques, and edit-and-critique sessions. UnCruise offers photography-themed voyages in the Pacific Northwest and Alaska, Mexico, Costa Rica, The Galápagos and more. A professional photographer guest host will guide you on capturing the perfect shots—onboard, in-the-field, and one-on-one. 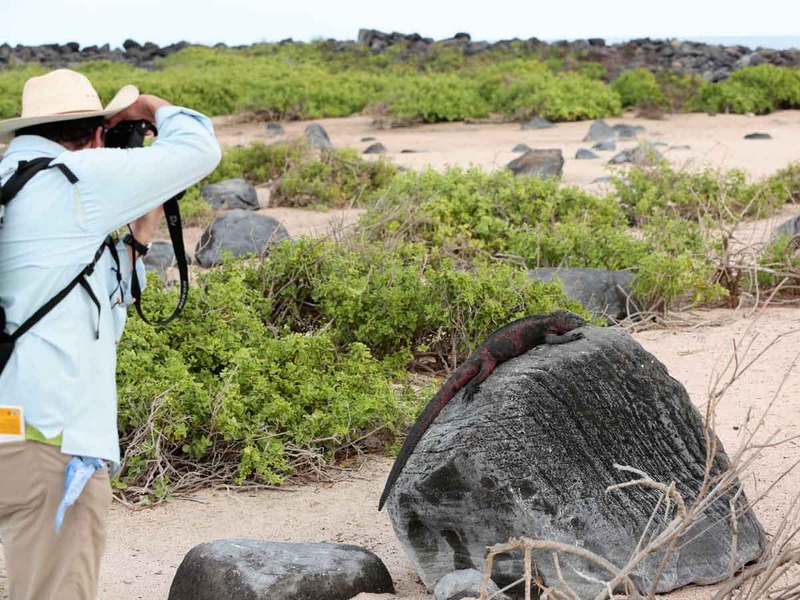 Snapping the perfect picture of native species will never be easier than on an UnCruise Adventure. Though only a few ships in their fleet have a photography program onboard, Hurtigruten's unique itineraries to Antarctica, the Arctic Circle, Patagonia, Falklands and South America are perfect for incredible photos and instruction on board. 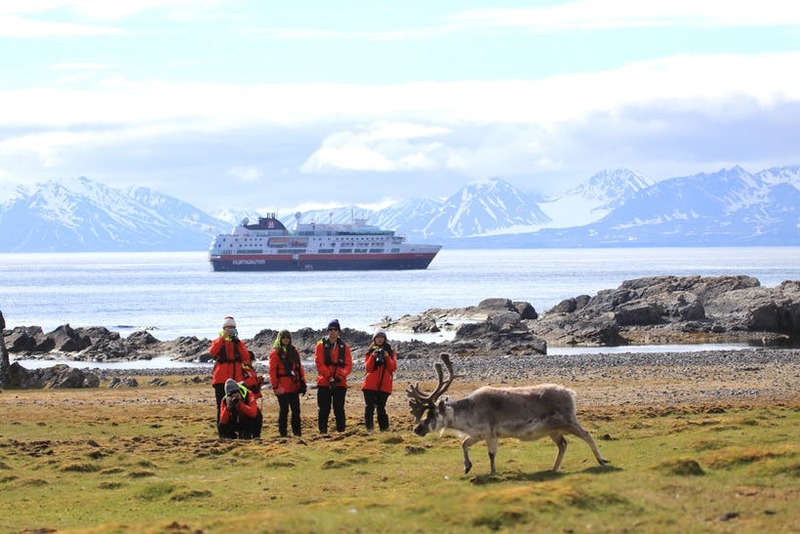 With Hurtigruten, every encounter is picture-worthy. Professionally led photography workshops are held outside, on the deck, with dramatic backgrounds surrounding every session. These special ships are also equipped with a media lab, in where you can download, process and share your work throughout the cruise. Insider Tip: By joining Hurtigruten's Explorer Photography School program offered on several itineraries, you'll find expert instruction by professional photographers, priority access to photo equipment such as extra DSLRs and lenses, an introduction booklet, a Zeiss Lens Cleaning Kit and workshops covering a range of photography-related topics. Most photography expeditions require you to bring your own equipment, which makes sense considering you’ll want to learn the ins and outs of how to best use your own gear. Many cruise lines will allow you to test out new equipment or demo the latest technology, but check with your cruise line before embarkation to see if they have any specific recommendations based on your destination, the weather, the wildlife and more. Always be ready, as you never know when that perfect shot will arise. Every ship is different and all destinations have their own subtleties, so the more you "know before you go" can help you determine what you'll want to capture, what shots might be best and from where and what to expect while on board or on shore. Whether it's DSLR or a standard point and shoot, the type of camera you bring is really up to you and your preferences, just make sure you're able to carry the gear and that it will fit easily and safely on board both the expedition ship and the Zodiac boat during shore excursions. Insider Tip: No matter what camera you're using or your level of interest in photography, a waterproof bag for your equipment is a necessity to keep your gear protected from the elements, inevitable splashes and rugged Zodiac boat landings. The last frontier is the ideal place to get right up close to soaring mountains, glistening glaciers and all sorts of wildlife from whales to bears to bald eagles and more. From elusive Polar bears to towering glaciers to the phenomenal "Northern Lights", the Arctic Circle abounds with everything a photographer needs for the perfect shot. An especially unique experience, it’s the ideal place to perfect your polar photography skills while being one of the few travelers to reach the frozen tundra. 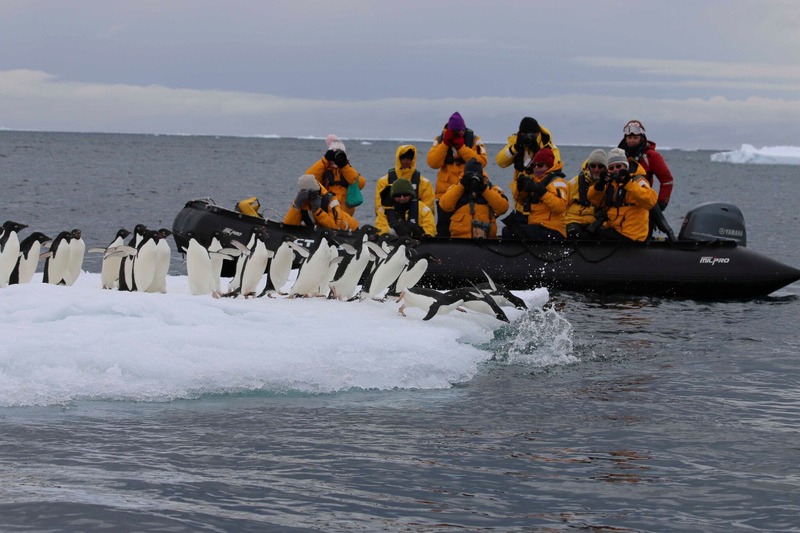 Antarctica expedition cruises include close encounters with wildlife like seals, penguins and seabirds. Expedition cruises allow for up-close-and-personal encounters with local wildlife and more. You’ll discover a true “living museum” where time and relative isolation has allowed nature to produce bird, reptile and mammal species that exist nowhere else on Earth. A photographer’s paradise with diverse wildlife that includes the near-mythical pink river dolphins and a variety of exotic cultures and is a place where even the most well-versed travelers haven't been. Taking quality photos while traveling is an art. And no matter where you go, on a photography-themed expedition cruise you can expect to have a nurturing learning environment and an unforgettable, fun adventure while taking your photography skills and satisfaction to another level! To learn more about photography expeditions and the various cruise specials that are available, connect with a CruiseInsider travel expert at 1 (877) 734-6858.